You are at:Home»Lifestyle»Health & Beauty»MORE Fitness for Teens! Antrim and Newtownabbey Borough Council has recently reduced the age limit for using the Council’s fitness suites from 16 to 14 years of age. From the age of 14, teens will now have access to the fitness suite and have the ability to use cardiovascular equipment and some of the classes across Antrim Forum, Ballyearl, Crumlin, Sixmile and Valley Leisure Centres as long as they are accompanied by a parent or guardian. Mayor, Councillor Paul Hamill is joined by Ava Manson and Reuben Henderson to promote 14 and 15 year olds using the fitness suites. 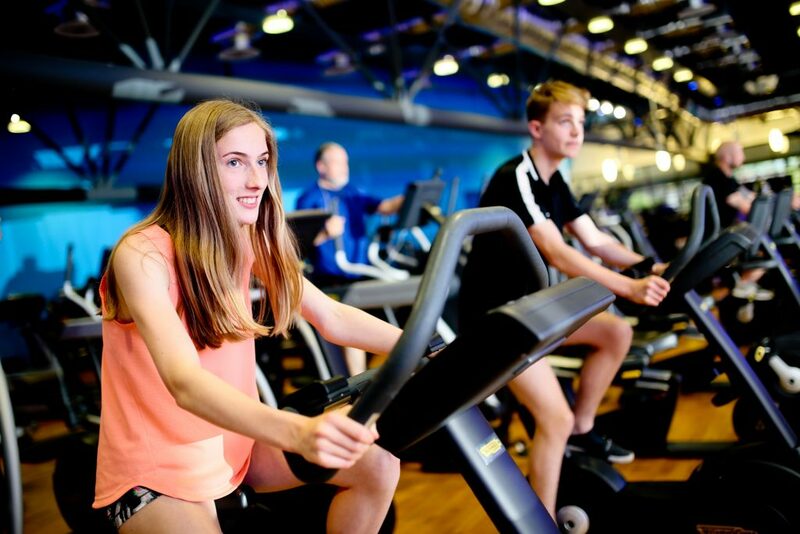 Teenagers will now be able to use the fitness suite as part of the MORE membership which costs just £39 per month per family (Ts and Cs apply). For more information on our membership options, visit here.